Democrats Push For Internal Documents On 2020 Census Citizenship Question More lawmakers are calling for a subpoena to force the Census Bureau and Commerce Department to release documents about the controversial citizenship question before an upcoming hearing. The House Committee on Oversight and Government Reform's top Democrat, Rep. Elijah Cummings seen here in 2017, co-signed a letter requesting a subpoena for documents about the 2020 census citizenship question from the Census Bureau and Commerce Department, which oversees the census. "We believe these documents are critical for our Committee," write all 18 Democrats on the House Oversight and Government Reform Committee in a letter to its chairman, Republican Rep. Trey Gowdy of South Carolina, "to understand the concerns raised internally by career experts at the Census Bureau itself about the dangers of adding this untested new citizenship question to the census — as well as why the Trump Administration disregarded these concerns." The U.S. Census Bureau is part of the Commerce Department. A Commerce Department spokesperson has previously told NPR the documents will not be released until after the May 8 hearing. The agency is preparing to release them publicly after its attorneys file them later next month at the federal courts that are hearing the lawsuits against the citizenship question. Sen. Kamala Harris of California and other Democrats on the Senate Homeland Security and Governmental Affairs Committee, which has oversight of the U.S. Census Bureau, have previously made requests for these documents. NPR has filed Freedom of Information Act requests for them as well. Gowdy's communications director Amanda Gonzalez declined to comment on the Democrats' letter. The Democrats' letter notes that regardless of the legal fight over the citizenship question, members of Congress have "an independent responsibility under the Constitution to conduct oversight of the census." Earlier this month, Gowdy held a closed-door briefing for House oversight committee members with officials from the Census Bureau and Commerce Department. 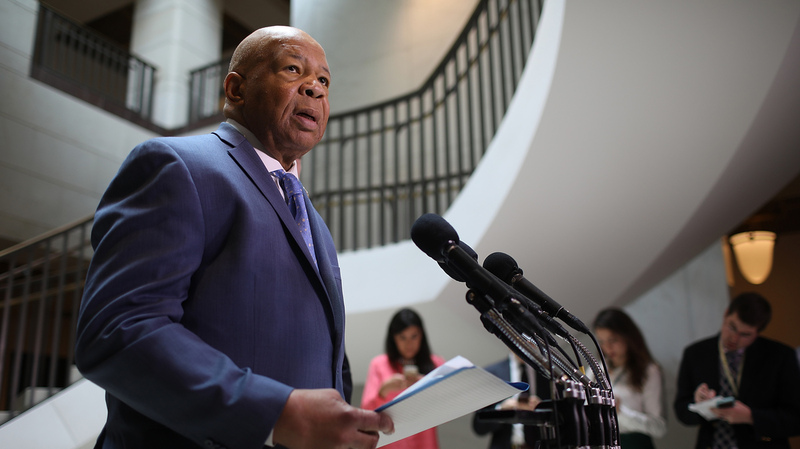 Democratic lawmakers — including the House oversight committee's top Democrat, Rep. Elijah Cummings of Maryland — have been raising concerns about the citizenship question since it was first announced by Commerce Secretary Wilbur Ross in late March. Ross approved a last-minute request to add a citizenship question from the Justice Department. The DOJ says the question is needed to get a better count of voting-age citizens in order to enforce the Voting Rights Act's provisions against voting discrimination of racial and language minority groups. Since the civil rights law was enacted in 1965, the DOJ has relied on estimates of U.S. citizens rather than official counts by the census. Those who have criticized the addition of the citizenship question say those estimates are adequate. The data are used for reapportioning seats in Congress, drawing legislative districts and distributing an estimated $800 billion a year in federal funding. Cummings and other Democrats have cited research by the Census Bureau suggesting that asking about citizenship could discourage immigrants and communities of color from participating in the census — a national head count of every person living in the U.S. required by the Constitution every 10 years.